“Never pay for a wine you don’t like” has been a way of life for the Wine of the Month Club ever since the company first started shipping out bottles in 1972. It’s the original wine club, and offers “wine correspondence” courses and memberships that are straightforward, with low prices and no obligations. 2 bottles at $24.96 to $80 per month. 6 bottles for $74.88 per month, 12 bottles for $99 to $149.76 per month. Shipping not included. An easy, affordable and reliable way to try out new wines each month risk free. These guys have been in the business for a long time, and it shows. You can find a wide range of red, white, and rosé wines, as well as dessert and sparkling wines. There is also a category called “fine and fun wines,” which includes champagne, port, sparkling cider, and olive oil and balsamic vinegar (drink sparingly). The website also offers wine accessories like cheese boards and pour spouts, as well as gift cards. 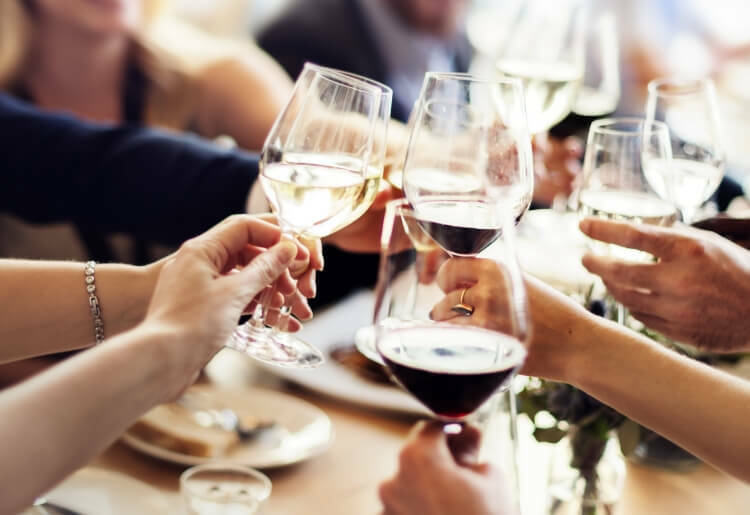 The wines come from the US, France, Portugal, Italy, and other wine hotspots across the globe, and you can find a la carte wines from the fancy to the everyday, however you like. The site also includes a wide range of educational resources about wine. With WOMC you can sign up for a 2, 6, or 12 bottle monthly membership, with a variety of options. There are currently 8 different 2-bottle packages, one 6-bottle option, and 2 different 12-bottle packages you can sign up for. The per bottle prices vary depending on which plan you go with. This is a robust red featuring 8 types of grapes, with hints of leather, spice, vanilla, and more. The WOMC calls it it a dramatic wine fit for the series that is its namesake. This chardonnay just screams “California coast.” It’s a Napa wine that’s light on the tongue with swirls of apple and tropical flavor. Goes great with: Creamy pasta, a crawfish boil in the backyard, fish tacos on the beach at sunset. This French rosé can transport you to Provence in an instant. It’s half Grenache, half Cinsault, with hints of pink grapefruit and strawberry. Goes great with: Chicken parmesan, grilled trout, drinking on your porch and faking a French accent. With WOMC you can give a wine club gift certificate in a sum of your choosing, or you can easily gift individual wine bottles as well as several special gift baskets. These include the “Treasure Trove of Wine,” which includes 6 bottles of wine in a treasure chest for $135, or the “Say Cheese” package, which comes with two bottles of wine, a cutting board and 3 knives for cheese (cheese not included). If you need to reach out to WOMC for assistance you can do so by way of the online contact form or live chat. There is also an email address, a phone number, and a toll-free 1-800 number. In addition, the company website has a FAQ section and also a wine blog and a number of informative videos. WOMC has been sending curated, hand-selected wines to customers across the country for more than 4 decades, and offers a wide range of membership options which is hard to beat. The price point for WOMC is also friendly, and while it doesn’t let you personally select the wines, the “Never pay for a wine you don’t like” policy is there if you need it.